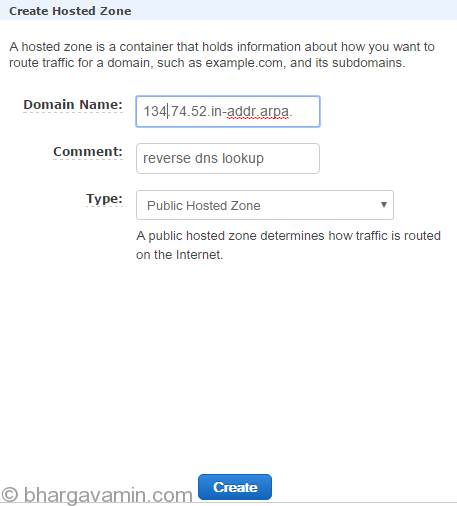 Reverse DNS lookup is the process used to resolve an IP address to its domain name. It requires a DNS pointer record (PTR). 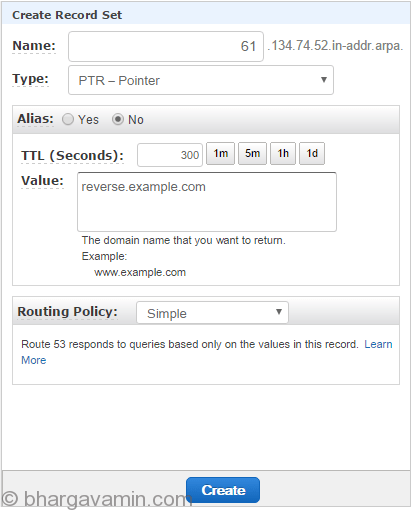 In Amazon Route 53, adding a PTR record to an existing public hosted zone will not work; you must create a separate reverse public hosted zone to hold the PTR record. Reverse lookup if generally required by SMTP servers or any other application which require reverse lookup to be enable. Note : If you’re making an internal reverse lookup change “type” to “Private Hosted Zone for Amazon VPC”. In the Name field, enter 2 to create the record 61.134.74.52.in-addr.arpa (reversed IP address + in-addr.arpa). Note : If you’re creating reverse lookup then point it to internal domain. 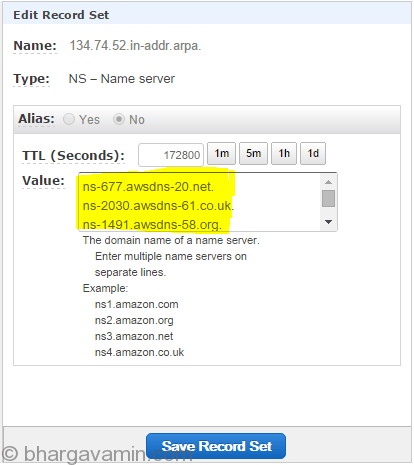 That’s it you have successfully created Reverse DNS lookup in Amazon Route 53. If properly configured you will find the reverse lookup pointing to the domain in “Answer Section” of dig command.